Try the Webadocious difference. We are far superior to other digital marketing companies because we deliver an integrated approach to marketing where all of your critical online and digital marketing efforts are coordinated, re-inforce one another and ultimately improve overall performance. Because if you are not integrating your marketing efforts you ultimately reduce effectiveness and increase cost to deliver. 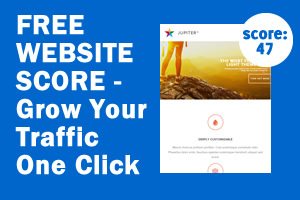 Utilize our custom tool that automatically scores your website and shows you specifically where to make changes to dramatically improve search rankings. Use the tool here. Webadocious digital marketing with the HITS system is unique. We bring great performance to each area of your marketing efforts because we can design and manage them together so there is no duplication, wasted effort or inconsistency. Best of all they support each other resulting in improved performance and reduced costs. We utilize leading edge methods for SEO, Social, maps and directories, review and reputation management that gives your business visibility and your website and social properties vistors. Interlinking, branding and consistent messaging enhance the performance of each traffic method. We build your website and social properties with conversion in mind with powerful calls to action, lead capture on your website, compelling offers all integrated across every aspect of your digital and online presence. Make your casual visitors take action and become customers. With powerful services like social community building, mobile rewards programs, SMS and email marketing, and review optimization, your business grows new customers as well as increasing patronage regularity. Plus loyal customers are more likely to give reviews online and refer their friends. Beautifully designed web properties that engage and convert customers. Online marketing that brings customers looking for you and ready to purchase. Build relationships with existing customers and give them incentives to return. Call us at 1-888-317-9645 or Get the Free Report “Why Businesses Don’t Succeed More Often with Their Digital Marketing” by filling out the form below.